Roy Bernard Malcomb, 57, of Sutton, WV passed away Thursday, January 11, 2018, at the United Hospital Center, Bridgeport, WV. He was born at Sutton, WV on April 29, 1960, the son of Lee Malcomb and Anna “Butcher” Freeman. Preceding him in death were brothers, Gary and Robert Malcomb. 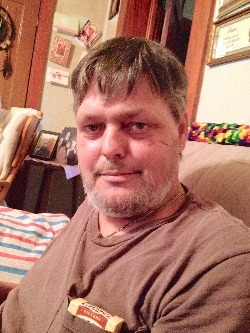 He is survived by daughter, Alicia Malcomb (Nathan Freeman); son David Malcomb; brother, Darrell Malcomb and sister, Marsha Barnhouse. Mr. Malcomb was a foreman and worked in the timber industry. His favorite past time was spending time outdoors just driving around looking at the scenery or watching the birds that he so loved. He also was an avid hunter and fisherman who spent many hours by the river and in the woods. There will be a time of fellowship held at the Stockert-Paletti Funeral Home, 378 Flatwoods Corner Road January 21, 2018 from 1:00 p.m. to 2:00 p.m. with a Memorial Service following at 2:00 p.m. from the Stockert-Paletti Funeral Chapel with Pastor Dennis Shaver officiating. Words of Comfort and fond memories can be expressed to the family at stockert-palett.com. The Stockert-Paletti Funeral Home of Flatwoods, WV will be caring for Mr. Malcomb and his family. To send flowers to the family of Roy Bernard Malcomb, please visit our Heartfelt Sympathies Store.